Product code: 791 Categories: Sold Items, Sold Jewellery. 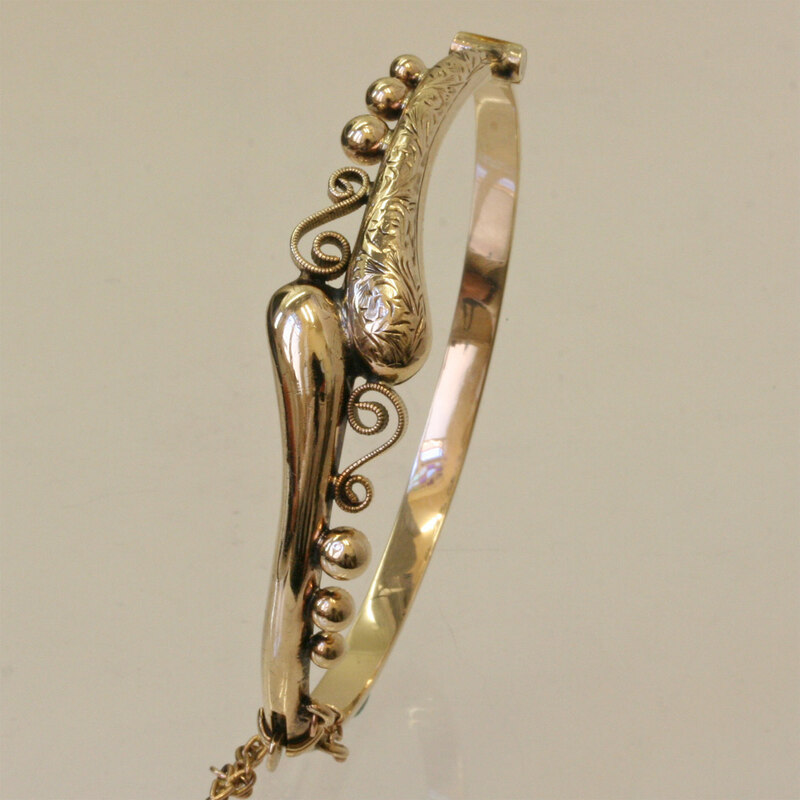 This is a bangle dating from the Edwardian era of 1900, designed in with two snake heads as its motif. Made in 9ct rose gold and hinged so it will sit close to the wrist, the engraving on one of the heads compliments the high polish of the other. 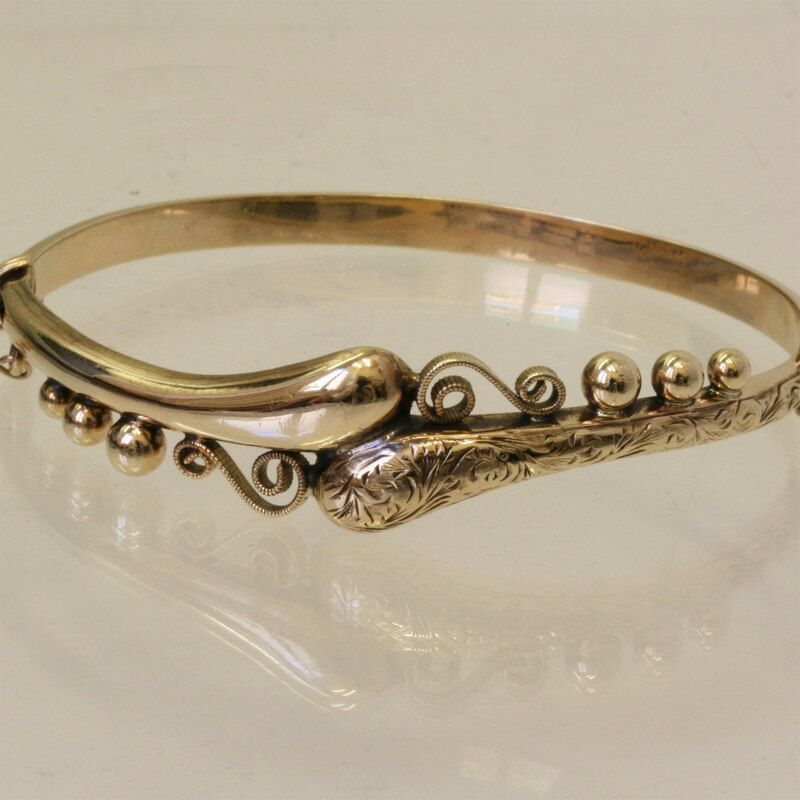 With a twist design on each side, this is a great antique bangle that will get attention.